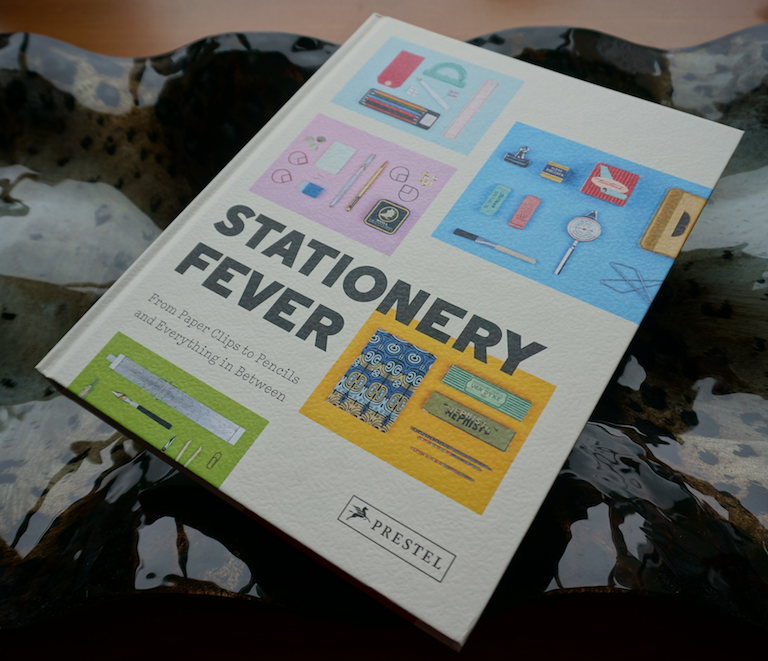 Stationery Fever is a recently published hardcover book that explores the modern stationery scene. The book is lavishly illustrated, and unique in featuring dozens of contributed essays and photos. The book has nine chapters on stationery subjects (pencils, pens, etc.) and thirty-one separate brief essays, mainly on brick and mortar stores and products. The author’s name is not on the book’s cover (though is inside) and the multiple supplemental essays are largely written in the first person without attribution. Given the collaboration, it is little surprise that three full pages are required for just the copyright, credit, and acknowledgement pages. And even then, we don’t know the names of many of the essay authors. It also isn’t clear to me what parts of the content may have been published in translation. The book is a delight, and nicely covers a lot of themes that I sympathize with. It correctly recognizes the pencil as worthy of contemplation. The multiple points of view are also a breath of fresh air. There is an amazing unity in the viewpoints of stationers – whether in Asia, North America, or Europe, natural lighting (if possible) highlights white tables that display high quality artfully arranged stationery items. The preference is for goods made by hand, and locally if possible. The tactile is emphasized. Product essays are devoted to the familiar – the Parker 51 (in 2005, when pencil talk started, the ’51’ was pretty much the online favorite writing implement), the Eberhard Faber Blackwing, and to the new – the Neri leadholder and the Faber notebook. There is an essay by Gunther from Lexikaliker on the Grenade sharpener, and the Blackwing article appropriately interviews the Blackwing’s leading chronicler, Sean of the Blackwing Pages. I expect 2017/18 to offer more new published writing on pencils than we’ve seen in decades, and this book is a harbinger. The book will appeal to anyone interested in the constituent subjects. I read it cover to cover on two weekend afternoons. Even subjects that weren’t particularly high on my radar, such as “Glue”, were really interesting. A comparison of the Pritt stick vs. the UHU stick, as an example. The intriguing story of the first adhesive tape (Dr. Horace Day, Surgeon, 1845) through to the Post-It Note (Dr. Spencer Silver, 3M Scientist, 1968). The only issue is the lack of citations, for those of us who would like to read further. The book is a two-in-one – a nice review of many stationery topics/histories, plus an anthology of contributed essays and photos. It is a delight.